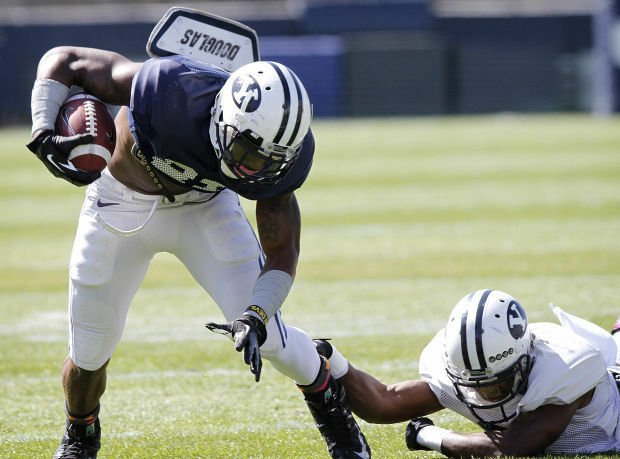 Jamaal Williams, as a sophomore, has already established himself as one of BYU's most important football players. Not just for this particular team, but for the future. Williams is seemingly always quick to point out he's "still only 18" and is more than happy to take a backseat on leadership even though his statistics might command otherwise. As likely as he is to get the ball handed to him from quarterback Taysom Hill this fall, Williams is just as likely to meet the non-LDS (typically black, he says) recruit that is inevitably curious to hear his take.